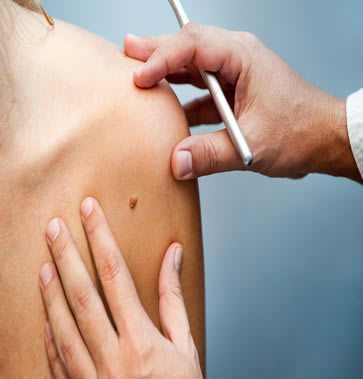 Skin cancer is diagnosed by physical examination and a procedure called a skin biopsy. A biopsy is a quick and simple procedure where your dermatologist removes part (or all) of a suspicious spot, and sends it to a laboratory to be examined under the microscope. The results may take 1-2 weeks. After diagnosis, your dermatologist will discuss with you the best treatment options considering your age and general health, the type and size of cancer, where it is on your body and your personal preferences. To learn more about the treatments for skin cancer, call our office at (435) 602-1918 to request an appointment, or request one online.